While progress has been made, improvements to companies' anti-bribery and corruption strategies are still needed, according to the 2018 Global White Collar Crime Survey, which has been launched by The University of Manchester and global law firm White & Case LLP. The survey gathered views anonymously from employees at businesses operating across a variety of sectors and jurisdictions. It explores a range of themes surrounding bribery and corruption, building a comprehensive picture of the risks currently faced, as well as the steps being taken to mitigate them. When asked whether their company has a formal policy in place, 29 percent of employees answered 'no' or 'don't know' (19 percent of respondents reported that it did not), indicating that there was either no policy, or no effective communication strategy around it. In addition, respondents openly agreed that opportunities for bribery and corruption, as well as pressure to overlook risks, exist day-to-day—39 percent of respondents in non-legal/compliance roles, such as sales and marketing, thought it would be possible for someone in their company to offer a bribe to a public official for preferential treatment, and 40 percent of employees from legal/compliance departments said that they had felt under pressure to approve the engagement of a third party despite bribery and corruption red flags. 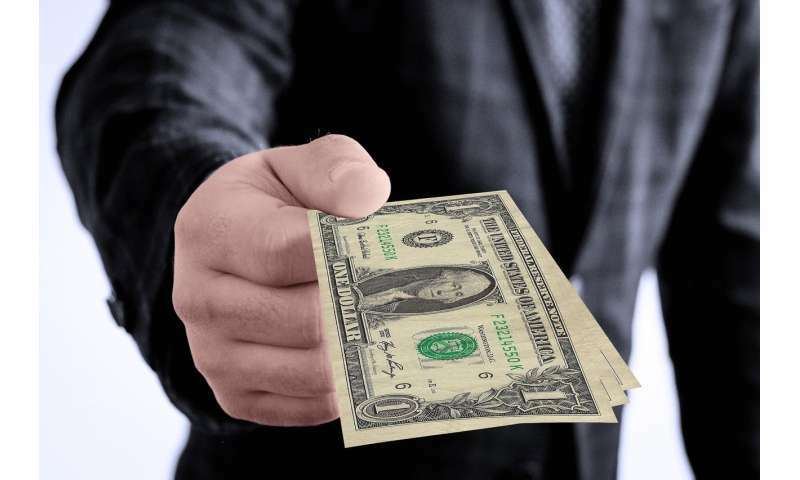 The research revealed that perceptions around the benefits of bribery are still a key issue. 48 percent of respondents feel that people who pay bribes on behalf of their company are rewarded internally, and/or able to enjoy substantial personal benefit. Of those who indicated this is the case, 64 percent felt that the employee concerned would be awarded 'special status' and 60 percent indicated they felt promotion would likely follow, for helping to meet company targets. Jonathan Pickworth, Partner at White & Case, comments: "Companies need to do more to tackle this idea that wrong-doing will result in substantial personal gain. The consequences of bribery and corruption are severe, and law enforcement agencies' powers to investigate and prosecute have grown substantially over the last few years. Employers need to make sure their staff are aware of the legal implications, and severity of penalties." When employees suspect or identify bribery and corruption by a co-worker, 88 percent would be inclined to raise the issue internally, rather than externally. Just 3 percent said they would make use of a whistleblowing hotline, and only 2 percent said they would go to a regulator or authority. 6 percent said they wouldn't notify anyone. "The survey offers a comprehensive overview of the attitudes of companies and their employees towards bribery and corruption. With a raft of new legislation designed to tackle white collar crime and extended powers awarded to regulators and law enforcement agencies globally over recent years, companies need to pay more attention than ever to ensuring internal compliance and systems are robust," says Dr. Nicholas Lord. "The study indicates that there is still a way to go – in terms of the development of internal compliance programmes and structure, and also in changing perceptions around the benefits and consequences of bribery and corruption." It always starts within each of us. That we are honest with ourselves. That we honor our beliefs & commitments. That we are loyal to our kin & kith, our communities & our humanity. It is no surprise that those who boast the loudest of their "godliness". With "patriotic" Bombast & specious claims of "superiority" to other people. To being above the law! Are the ones being exposed as agents for foreign powers. Who preach "Constitutionalism" but deny that any of those Amendments constrains their criminal & treasonous activities. How dare anyone criticize these modern day pharaohs! Who blame their personal weaknesses & character faults on the messengers delivering the indictments against those sanctimonious parasites that have metastasized their poison throughout Civil Society. A little wordy and preachy, rr, but pretty dead on. WG, I do not believe that it is possible to so easily separate "government personalities as different than businessmen". They went to the same schools & universities. They share with academics & religious leaders & drug lords & media divas & broker/bankers & weapons hucksters a bloated sense of entitlement. That their shared experiences entitles them to primacy. I know the technocrats & the regulators. The researchers & the teachers & the healers, all make easy targets for our unhappiness at the systematic corruption. Because it is safe to publicly damn them. They are not permitted to respond or even protect themselves. They are the scapegoats to shield their superiors. Especially when it turns out you were correct & justified. Your bosses will not forget & never forgive you for uttering such blasphemy.